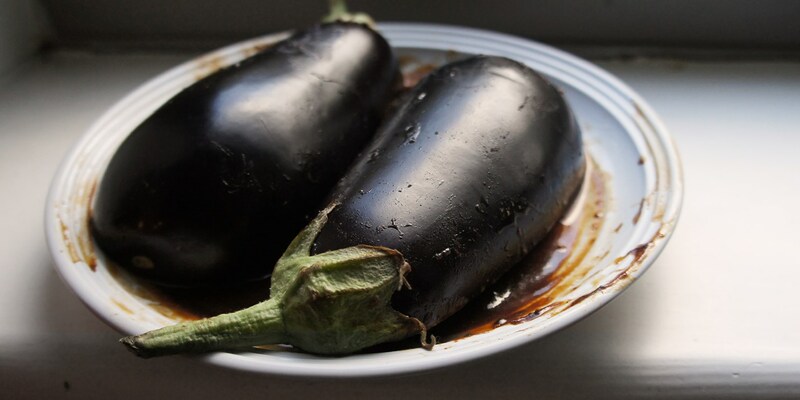 Stewed, roasted, braised, steamed, deep-fried, stir-fried, battered, grilled or stuffed, the meaty aubergine has a light, earthy taste when cooked, making it perfect to carry a variety of flavours and any number of cooking methods and techniques. Originating from the Indian subcontinent, aubergines are technically classed as a berry but are used as a vegetable in a multitude of savoury dishes. Available in purple, green, yellow and orange varieties, look out for specimens with taut, shiny, unblemished skin, and vibrant green stems when buying. Our aubergine recipes collection highlights the versatility of aubergines, from classic French dishes such as Pascal Aussignac’s grilled rack of lamb with ratatouille, to the more exotic flavours and spices of Asia with Vivek Singh’s seared black bream with roasted aubergine, to the gourmet finesse of Nuno Mendes’ salmon skin with fried aubergines.